An experienced and accomplished Senior Level Executive, General Manager and Board Member, Dushyant has built and driven high performance global consulting and services businesses both domestically and globally. He has led teams and developed channel partnerships across emerging technologies such as, Cloud, ITaaS, Unified Communications, Video, Mobile Infrastructure, and OSS/BSS for both Service Providers/Telcos and Enterprise customers alike. A proven P&L leadership track record at leading IT vendors like Cisco Systems, and Hewlett-Packard, helping to grow Cisco Services to a $11.5B annual run rate; driving accelerated revenue growth in high double digits with increased margins while deploying innovative technology and adaptive solution and services offers to impact customer success globally. A global technology executive and leader, author of the recently published business book “The Cisco Way” (www.theciscoway.com), widely published and invited speaker at several industry and CIO forums, who knows how to access and engage a global network of customers and partners; working with established relationships with CxOs at leading service providers, F500 companies and channel partners worldwide. Global P&L Leadership: Lead all functions of a $635M WW services P&L (1500+ Staff) at Unify, and previously led $145M+ services delivery P&L at Cisco across 65+ service providers (250+ staff) for Europe, Middle East, Africa, Russia, 112 countries, with Bookings/Revenue/GM YoY growth of 15%/28%/61%. Emerging Markets Growth: Ran all functions of a $125M+ service delivery P&L across 50+ Service Providers, with 185+ staff for Cisco’s emerging markets theatre spanning 122 countries across Asia, LATAM, Middle East, Russia, and Africa, with Bookings/Revenue/GM YoY growth of 32%/18%/301%. Asia Pacific and Japan: Developed the APAC market with double-digit growth at Cisco, HP & T-Systems. Launched and ramped up regional near-shore delivery centre for T-Systems in Malaysia as nucleus for APAC market. 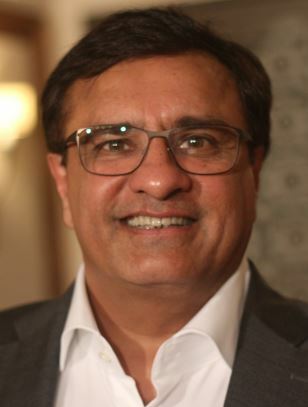 Founded Cisco’s Services business entity in India and incubated Cisco’s first systems integration projects with TATA and Reliance (now a $400M per year services-led account for Cisco). Transformative Leadership: Unify: Recruited by Unify to drive transformation to an all-Cloud next gen delivery platform and services portfolio. Cisco: Was a key stakeholder in driving a # 1 position worldwide for Cisco’s $4B+ mobile infrastructure product line, initiating Cisco’s entry into the UC market, establishing CoEs, offshore delivery centres and channel partnerships for infrastructure services Worldwide. Operational Efficiencies: Implemented “quarterly” executive Joint Business Reviews (JBR) with all critical customers and partners, leveraged innovative service segmentation techniques, and drove an unrelenting focus on operational plan reviews, financial discipline and rigor to drive gross margin leadership, while overachieving on customer financial growth targets and maximizing customer and partner penetration. Industry Forums Speaker: Widely published and invited speaker at several reputable industry forums such as the Accenture Global Convergence Forum 2011 (Rio de Janeiro, Brazil), Mobily Business CIO Summit 2012 (Istanbul, Turkey), and chairperson for a telecoms Infrastructure session at ITU’s Telecom 99, Geneva. Established a management consulting firm with a focus on the following portfolio of services: Strategic Planning, P&L turnaround, Global Expansion, M&A (pre-M&A diligence and post-M&A integration), Sales and Operations, Service Strategy, Managed Services, Digital Transformation, and Program Management. SVP and GM, member of Kymeta Corporation’s Executive Leadership, leading Kymeta Corporation’s global revolutionary and disruptive KĀLO™ services and worldwide commercial business P&L. Responsible for worldwide operations and customer services delivery team of 1500+ people in 25 countries. Drove an ambitious transformation agenda to turnaround the maintenance and managed services $635M P&L (45% of Unify’s Revenue) and the company’s global operations resulting in a sale of the company to ATOS (February 2016). Appointed CEO and managing member of the board of directors for Unify in Bulgaria and Romania. Introduced a new 3-Tier managed services platform to improve the profitability of the $335M managed services business and drive new business growth of $150M. Central End User and Cloud Services Global Delivery Unit (GDU) : Responsible for Global End User Cloud Services $680M P&L, 1150+ staff across 19 countries, for services to large F500 enterprise customers WW like Daimler, BP, and Shell. Owned e2e services portfolio & P&L; additionally same solutions for DT internal IT services (235k employees) and T-Mobile vShop retail outlets. Revamped the consulting and services business to target new vertical solutions and services, with an expanded services portfolio, business-outcome messaging targeted at CxO-level decision makers, resulting in the penetration of new accounts globally and a 23% growth in the consulting and services revenue. Oversaw the development, deployment, and managed the operations of an innovative Enterprise-wide ITaaS Cloud Services delivery for enterprise messaging and collaboration to cover all 23 DHS agencies and its230k employees. Oversaw the successful deployment of a complex next generation UC (Unified and video platform for TSA (47k Employees, 450 locations). Responsibility expanded to own all functions of a $145M+ consulting and services P&L, emergingtechnology Solutions Acceleration Centres, and strategic alliances with 250+ staff for 65+ service providersacross 112 countries. Grew bookings, revenues and margins at 15%/28%/61% YoY respectively. General Manager and Senior Director – Cisco Services – Emerging Markets. Given increased responsibility for full P&L ownership for $125M+ services delivery P&L with 185+ staff for50+ service providers across APAC, LATAM, Eastern Europe, Middle East, Africa, and Russia. Grewbookings & revenue 32% and 18% YoY while turning around a declining margins trend to high double digits. Promoted to Senior Director to drive Centres of Excellence (CoE) and strategic alliances for new advanced technology solutions like Cloud, Video and Mobility across both Europe and Emerging Markets theatres. Pioneered and Launched Solution Acceleration Centers to drive accelerated adoption of emerging technologies. Various roles of increasing responsibility that included setting up a global Carrier Ethernet practice, establishing a PMO function and launching a services entity in India. Managed the deployment of Cisco’s largest $140M MPLS nationwide network for Deutsche Telekom. Launched and established the TelcoConsulting Practise for Cisco’s IBSG consulting organization. Grew the consulting practice through a focus on thought leadership and flagship reference engagements at large global Telcos like Comcast, AT&T, Sprint, British Telecom, Deutsche Telekom, Telecom Italia, Telstra, and Singtel. Progressive roles and responsibilities from software engineer to leading a channels group; incubating a global service provider services delivery group; culminating in a leadership role for HP’s FIRST internet infrastructure “software” business unit growing it double digits in a short span of 18 months.